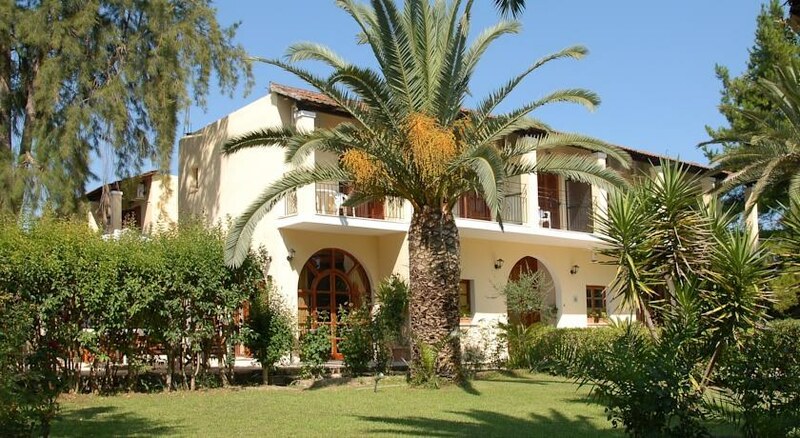 A wonderful place to stay, Hotel Milton in Corfu has the perfect ambience one seeks for a relaxing vacation. It is located at a distance of 700 meters from the sandy beach. 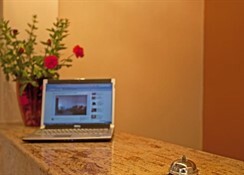 Guests can stay connected with their loved ones with the free Wi-Fi available here. A luxurious outdoor pool nestled amidst Hotel Milton’s lush green gardens is very inviting. While here, soak in some sun on the sun loungers by the outdoor pool. There is plenty to do here at Hotel Milton with the centre of the Roda city being just 50 meters away. The staff at this stunning property is always available for helping the guests. One can request for car rentals to explore the area nearby. Roda town lies below the mountain of Pantokratorthe growing from a picturesque fishing settlement in recent years just 20 km north of Corfu. 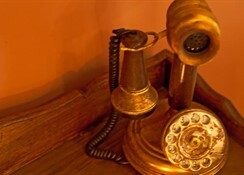 It beautifully melds the traditional and modern ways of life. The lovely sandy stretches for more than 2km equipped with plenty of sunbeds and parasols. The beach also offers exciting watersports. Just at 700 meters from the sandy beach, this property gives an easy access to the beach. Guests can travel to Roda town at just 50 meters distance or visit the Corfu town at 36 km from here. The scenic Magoulades is at a distance of just 15 km from here. The hotel is not far from the beaches, bars and restaurants in the town and guests can enjoy a quiet time and yet have an easy access to the bustling township. The stunning Antinioti Lake is located at a distance of 6 km only from here. The rooms are all very clean and basic. Guests can find air-conditions in every room. Featuring furnished balconies overlooking the lush green palm trees, these rooms are also equipped with a television and a mini fridge. Guests can relish a sumptuous continental breakfast served every morning. Breakfast and lunch are served at the hotel’s restaurant. This family-run property uses only organic products from their own garden. 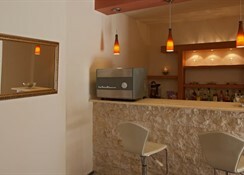 One can sip in hot tea or coffee at the bar along with some exotic alcoholic beverages. Guests can enjoy dipping in the outdoor pool here or relax and bask in some sun on the sun loungers. The area is equipped with umbrellas and a shower too. 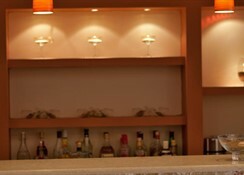 Guests can spend some relaxing moments at the lounge room. 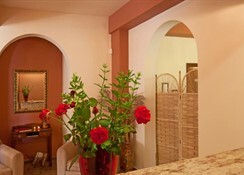 The friendly 24-hour front desk is always available for the guests. One can get car rentals and taxis arranged. 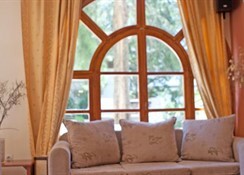 With the friendly staff and clean accommodation, holidaying in this property is a great idea.